It is a wonderful story about friendship and how it can take you places. Love this book! I was going through a friendship problem at the time and found this book very comforting! This book is awesome. I read this book about 6 months ago and I was a bit disappointed, on the back of the book it looked really good but I wasn’t that keen on it once I had actually started to read it. It is good but not up to Jacqueline wilson’s normal standards! I would still recommend it to a friend because I did enjoy it but I would say that 8 year old would like this better than a 12 year old!! It’s about 2 best friends, Gemma and Alice who get split up. But in the end, it’s happy. But you’ll have to read it to find out how! I really love this book. it is a story for best friends. A book about friendship, heartbreak, and jealousy. Three simple words: READ IT NOW!!!!!! This book shows how friends can get over this sort of thing. It certainly helped me when it happened to me. 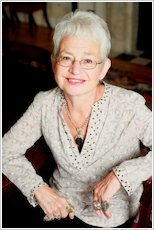 A story by bestselling author Jacqueline Wilson. A tale of friendship and fun, loss and emotion. Will friends stay friends and will they always be together? this book is really cool and it really shows what friendship is! It was about a secret that was kept from a friend.. My friends keep secrets from me! Alice and Gemma are best friends, until Alice moves to Scotland! It’s such a long way away, so what can they do to stay Best Friends? This book wasn’t my favorite of all time to be honest. But all my friends enjoyed it so i would would recommend it to other readers. This is a very touching story on how two best friends all of sudden get spilt up, my brothers best friend sadly got separated. He moved to Australia due to the fact they had no money, at least in Best Friends they get reunited thanks to Gemma’s Grandad. Must Have! I read this book when I was in primary school, and totally loved it! =], hence I decided to watched the film, the film it just amazing I recommend watching the film. However you have to buy the ‘Jacqueline Wilson Collection Box’ it contains all the books adapted in DVDS it is about £14.99 on amazon, but you can rent it from your local library ;) that is what I did. This book is fantastic, i have read it 3 times. Its one of the Jacqueline Wilson books i read an dit inspired read to read more. I would recomend this to anyone of all ages and book types. ME AND MY FRIEND MOLLY WE HAD A FRIEND WE USED TO PLAY WITH ALL THE TIME AND SHE WENT AWAY TOO BUT WE GOT OVER IT I HAVE A COPY IN MY BOOK BOX AT ST RICHARD’S FAIR AGES A GO. I loved this book.but it is sad. This book is fab! I love how Gemma is determined to stay with her best friend and then how she becomes friends with Biscuits. I love his personality too! 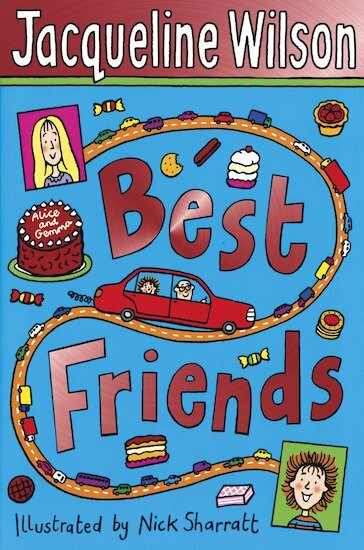 Best friends is a fantastic book about two friends called Alice and Gemma. Alice is a girly girl and Gemma is a tomboy. The two girls get up to funny, naughty and important things at school. Gemma thinks they will be best friends forever but when Gemma finds out that Alice is moving to Scotland, will the two be best friends forever?